Latest News: Community Health Systems Names CHAMPS Hospital Leads as Employees of the Year! CHAMPS abstract accepted to USBC's NBCC 2019! Baptist Memorial Hospital-Union County is now Baby-Friendly! King's Daughters Medical Center is now Baby-Friendly! CHEER is now a national voting member of the US Breastfeeding Committee! Baptist Memorial Hospital-Golden Triangle is now Baby-Friendly! New Paper Published in Pediatrics! SAVE THE DATE! CHAMPS Conference 2019 New CHAMPS Grant from the Bower Foundation! CHEER has started training sessions on the topic of IYCFE. Sessions are available online, and in person in Athens, Greece. ​A new paper published in Pediatrics links successful implementation of Baby-Friendly™ practices in the southern U.S. with increases in breastfeeding rates and improved, evidence-based care. The changes were especially positive for African-American women. Between 2014 and 2017, 33 hospitals enrolled into the CHAMPS (Communities and Hospitals Advancing Maternity Practices) program out of Boston Medical Center’s Center for Health Equity, Education and Research, funded by the W. K. Kellogg Foundation. All birthing hospitals in Greater New Orleans, and 18 in Mississippi, signed up. Breastfeeding initiation at CHAMPS hospitals rose from 66% to 75%, and, among African Americans, from 43% to 63%, over the 3 years. The gap between White and Black breastfeeding rates decreased by 9.6%. Congratulations to CHEER Champion of the Week, Millicent (“Milly”) Barrios, CLC, Peer Counselor 3 for the Mississippi WIC Program (MS WIC) in the Southern Region/Mississippi Coast. 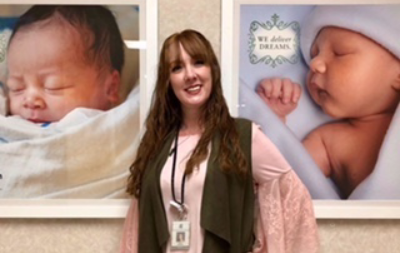 Milly was nominated as CHEER Champion of the Week for her wonderful work with moms and babies on the Gulf Coast, and for her helpful contributions to a recent CHAMPS site visit at Garden Park Medical Center. CHEER has received a new, 3-year grant from the Bower Foundation to continue work with Baby-Friendly designated Mississippi hospitals. CHEER (the Center for Health Equity, Education, and Research at Boston University School of Medicine) has run Mississippi CHAMPS since 2014, working with communities and hospitals to support, promote, and increase breastfeeding. The program also helps hospitals to gain the coveted WHO Baby-Friendly Hospital title. Since 2014, 8 Mississippi hospitals have been designated Baby-Friendly, and breastfeeding rates across CHAMPS-enrolled hospitals in Mississippi have risen from 49% to 67%. Rates have particularly increased among African American women, from 33% to 56%.